Gracie Barra South Austin was founded in 2010 and is headed by Professor Alexandre Ferreira Santos “Dande”, who as a jiu-jitsu competitor has achieved prestigious titles at Worlds, Pan-American, Brazilian Nationals, and the Brazilian State Championships. Prof. Dande’s dedication, skills and passion for Brazilian Jiu-Jitsu (BJJ) – combined with his back ground in physical therapy makes him one of Gracie Barra’s most sought after instructors. 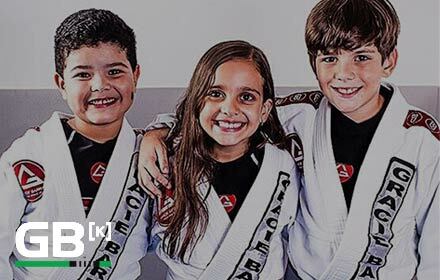 Gracie Barra South Austin is a part of the Gracie Barra Brazilian Jiu Jitsu Team, which includes more than 700 schools on six continents, making it the largest Brazilian Jiu Jitsu team on the planet. As a member of Gracie Barra South Austin, students have the benefit to train at any Gracie Barra Official Location around the world! Open 7 days a week, we offer various group classes per week taught by numerous instructors who are also decorated competitors in their sports. Our programs and classes provide ever-evolving teaching and support to our members to help develop students so they may efficiently reach their personal goals, whatever they may be – competition, training as a hobby, improving athleticism and health – all while learning martial art discipline. We look forward to seeing you on our mats!